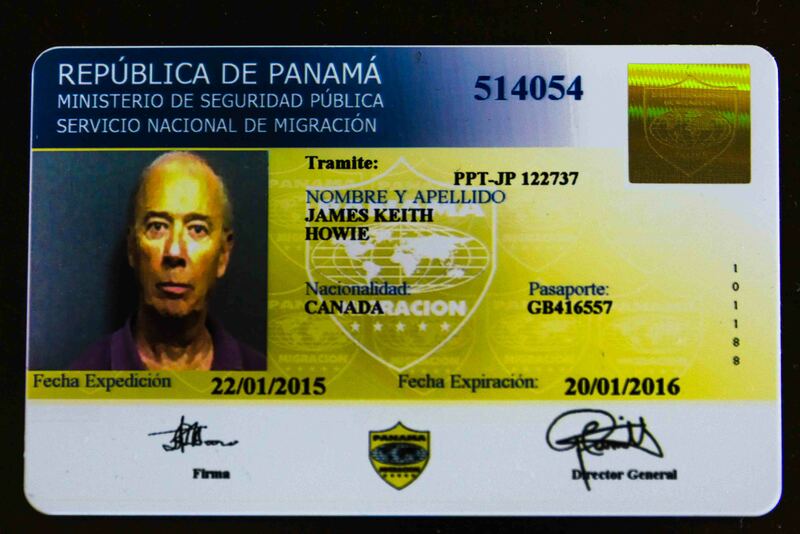 Today, I received my Panamanian Pensionado identification. Let the discounts begin!!! It was always one of my goals to get Pensionado status, here in Panama during this trip. I was surprised how simple and quick it was to achieve, with the right help. We found a good lawyer who made the process quick, simple and painless. Temporary Pensionado ID card, valid for one year, with a terrible picture. We are planning a little side trip to Cartagena in Columbia next month. A new overnight ferry runs from Colon to Cartagena two days per week so we thought we would try it out. We will be travelling with our niece so we booked a cabin on the ferry for the trips both ways. This was my first opportunity to use my Pensionado discount, so I presented my card and found that the fare dropped by about $100.00. Very nice! We went to the Hard Rock for lunch to celebrate but I forgot to present my card when the bill came so we did not get the restaurant discount. Oh well! We discovered that Canadians entering Columbia are subject to a tax of $80.00 per head in retaliation for visa penalties imposed by Canada on Colombians visiting Canada. Thanks Mr. Harper! I think I should be able to use this as a tax deduction on my next income tax return. We have been following a couple of local websites where used cars are posted for sale but typically find anything of interest to be high mileage and older than we wanted to buy. Toyota has a big presence here and everyone we talked to has advised us that parts and repairs are easy to get for Toyota, while many other brands are difficult. We went to a used Toyota car lot and looked at a couple of vehicles. For our budget, they showed us a 2004 Toyota Prada, which is “The Car” here if you are into status symbols. It is a full-sized SUV and comes in both gas and diesel models. A new one will run you up to $80K. The 2004 that they showed us had about 150,000 kilometers and they wanted way too much money for a vehicle of that vintage. They also showed us a 2012 Toyota Rav4 AWD but it had almost 70,000 Kilometers on it and they wanted almost $18,000. Too many kilometers! Eventually, we found an entry on one of the websites for a 2011 Toyota Rav4, 4 by 2, with 44,000 Kilometers at a decent price. We called and found that the owner could speak more English than he thought he could and after looking at the car, agreed to buy it. He was very helpful and even went to the Municipal Office and did the transfer into our name for us. Obtaining insurance was not as difficult as we thought it would be. We were recommended to Kevin Bradley, an insurance broker, who spoke English. We were quoted insurance for a year at less than $400. It included coverage for both Panama and Costa Rica, road side assistance, ambulance, comprehensive, collision, liability, replacement rental car, loss of contents due to theft, towing, legal assistance at the accident scene and afterward. Oh, and the deductible is reduced by 50% if the driver is female or the accident is not your fault. Everyone we talked to at Kevin Bradley’s office closed the phone or email conversations with the phrase “standing by to serve you”. Cool! So now we are finally mobile in our own vehicle. Congratulation YAA, now you can drive and ship lots of snow from Alberta to Panama:). Please send a nice love letter to PC to change their foreign policy. Nice mug shot 🙂 The car looks great. How goes the home building, haven’t seen any new pictures lately. I hope you have enough room in your house for guests to stay, Mike and I have been talking about coming down to visit you guys. Congrats on the car and the card!! You don’t have to remind me about how bad that photo is. Maybe I should have offered a bribe for a better picture? If they knew how Andrea drives they may not want to offer a discount! I am sure you are so glad to have your own car….however if the lug nuts break off on it, you just can’t return the vehicle for another one. Your pensionado photo looks more like a “mug” shot! Enjoy your discounts. Yes, it pays to be old!!! I just received my temp Pensionado Card. Does everyone know it’s Pensionado due to specific color? I don’t see on there where it says Pensionado for the discounts. I don’t know if this blog is still active. My permanent card has a blue band across the top of the card. The card body is yellow. There is an entry, second line in the yellow section, that says Pensionado followed by a number. The blog is way behind. It needs a redesign and I just need to get the time to invest in it.